Skip the coffee runs and and start your journey with us. Take on big responsibilities and incredible learning as you work to solve some of today's greatest data and tech problems. Whether you're available summer or winter, for 6 weeks or 6 months, we're always looking for talented interns. Apply now. Looking for a 6-month or year-long opportunity to learn how data and tech can drive incredible impact? Check out our Fellowship. Fresh out of college? Looking for opportunities that combine personal learning and global impact? Check out our jobs. "Entire years of my life have taught me a fraction of what I was able to grasp in these eight weeks." 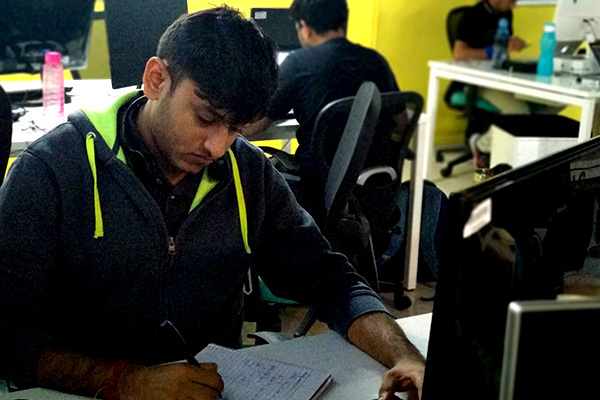 Read Bharat's internship story. 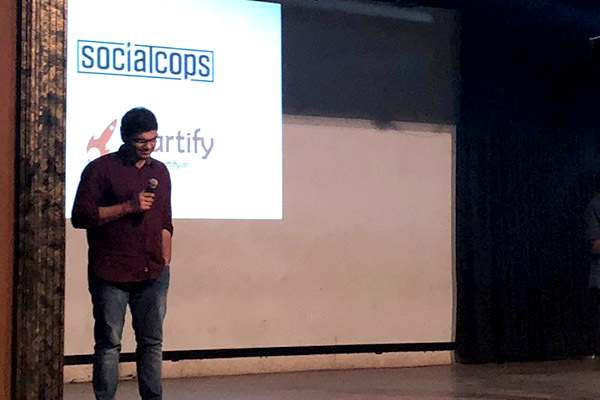 "SocialCops treated me like a regular employee and not as an intern." Read Siddharth's story. We collaborate with data and tech groups to host the latest meetups and events at SocialCops HQ. In just one year, Sourabh took on sales, research, analytics, dashboards, and more. Read his story. "No matter how much I invest myself into this company, it is always willing to invest even more in me." Read Carson's fellowship story. "I see SocialCops as yet another school, teaching me things beyond work and lessons about life." Read Aditi's story. 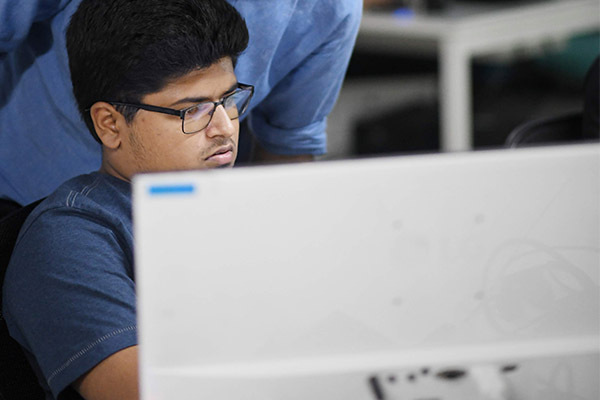 A first year student, Saurav just hoped to work on a live project during his summer internship. 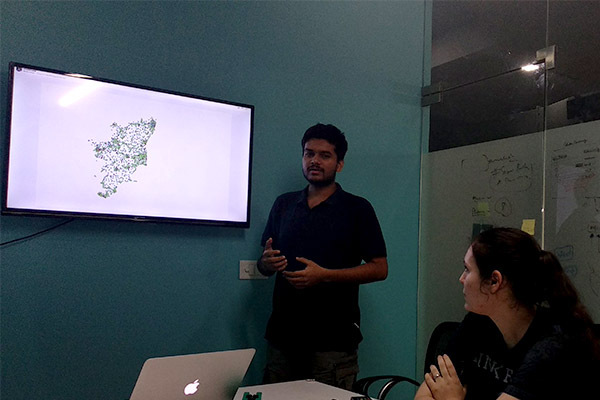 He ended up working with geospatial data, statistical data and satellite data to estimate Maharashtra's 2018 population on 1-km grids. 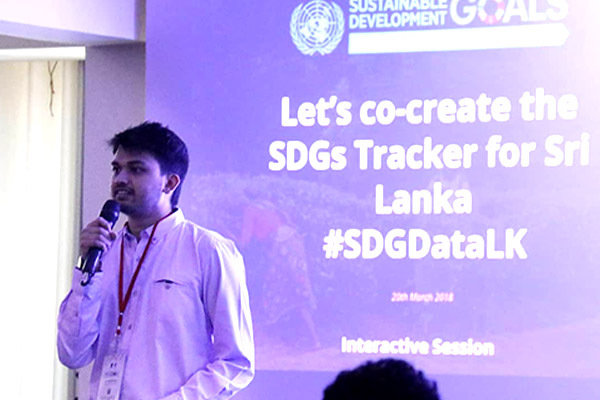 When Sourabh joined SocialCops after college, he barely knew R. In the next year, he wrote 450k lines of code, worked on 130+ data sets, and joined the core team for DISHA (India's national data platform) and India's national SDG tracker. 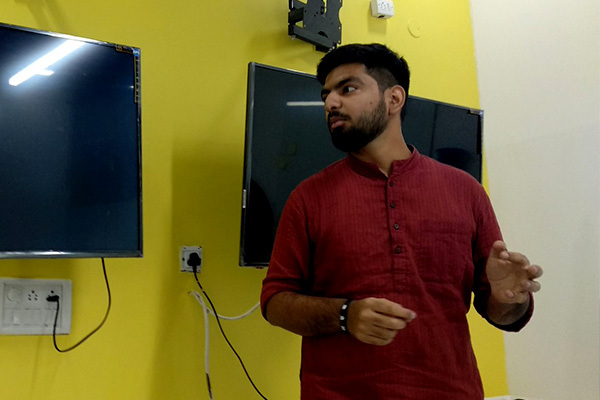 In his first week, Parth (a second year student) turned a company's sales data into an algorithm for new product launches. 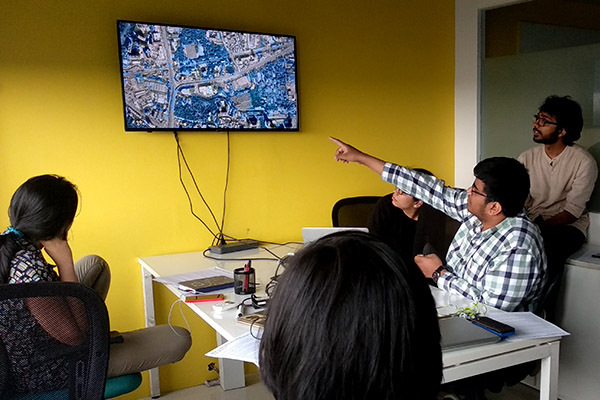 He then built an image recognition algorithm using Skynet and Robosat to detect roads from satellite images. Divyansh started as a super intern, doing 2 internships before joining after graduation. Just three months later, he's spoken to dozens of potential customers, hosted AMA sessions, and given talks to bring a new product to market. 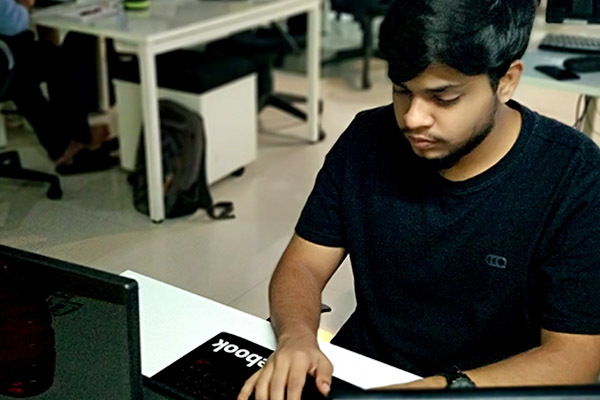 As a summer intern, Nishant migrated our flagship product Collect from Backbone.js to Vue.js. After joining a year later, he's built the front-end for a new product to help data science teams work together 10x better. As an intern, Aviral used Kafka to introduce event-sourcing mechanisms — automating pricing alerts & other complex models. Now, after joining full time, he's setting up new data infrastructure following Polyglot persistence principles. Tanay joined as an intern and started developing production features for a product with users in 50 countries! He used Mongo Connector to help users export data in near real time from Collect to Google Sheets. A first year MBA-Marketing student, Siddharth had never run ads. In just 8 weeks, he became an expert with LinkedIn, Facebook and Quora ads, email marketing, and Google Analytics and Hubspot. 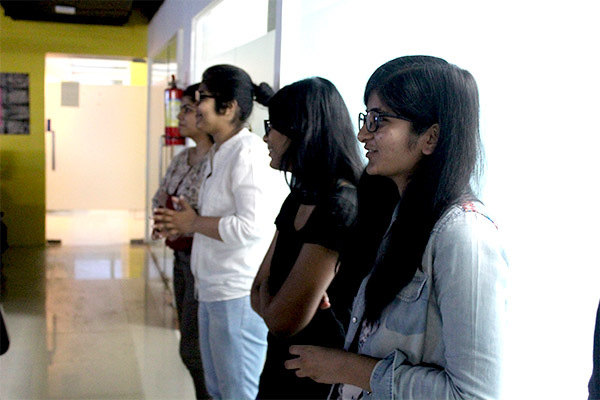 When Astha joined as a 6-month intern, she took over our social media channels. She later joined full-time and went on to create a marketing campaign for our internship program and become a full stack marketer for Collect. Think you're up for the challenge of a fast-paced startup with big projects and even bigger responsibilities? I joined SocialCops to learn what it takes to build great companies. The real fun is not to work with the Googles or Apples of the world, but to take the company there and become one of them by building great products. Having this kind of experience so early in your career shapes you as an individual. I joined 2 years ago as an intern, seeking to do some real work. Working here not only helped me create a difference in the outside world but within myself as well. At SocialCops, you get to work not only on a diverse set of interesting problems but also on the ones that actually affect people's lives. From joining as an intern to building India's first data platform, my journey has been absolutely steep. I love that marketing at SocialCops is not just about the leads and MRR, but about creating experiences and truly solving users' problems. What makes it more special is the different work, creative freedom, and super unconventional team. Want to invite SocialCops to your campus? Get in touch with our Talent Team. Contact us.